1866. Unpaginated. This is an ex-Library book. Quarter bound leather with green decorative cloth and gilt lettering. Contains three plays in one, by Hector Cremieux, Henri Meilhac Et Ludovic Halevy, and Victorien Sardou. All paginated separately. Ex-library copy with expected inserts, stamps and inscriptions. Finger-marked pages with light tanning and moderate foxing throughout. Cracked hinge with binding remaining firm. Moderate nicks and scuffs to text block edges, with some minor dog-eared corners. Light tanning to spine and board edges. 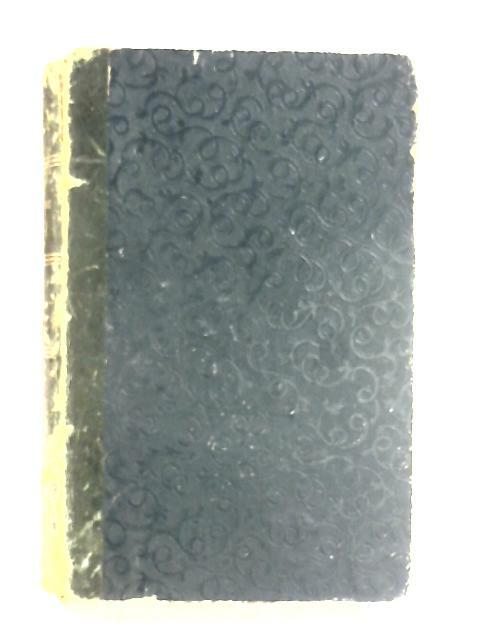 Loss to top spine end, and scuffing along spine and corners. Heavy rub wear to surfaces and edges with crushing to spine ends and bumps to creased corners.